We had a wonderful branch Christmas Lunch after our sacrament meeting, the day before we made 14 liters of Borsch. It was very delicious! 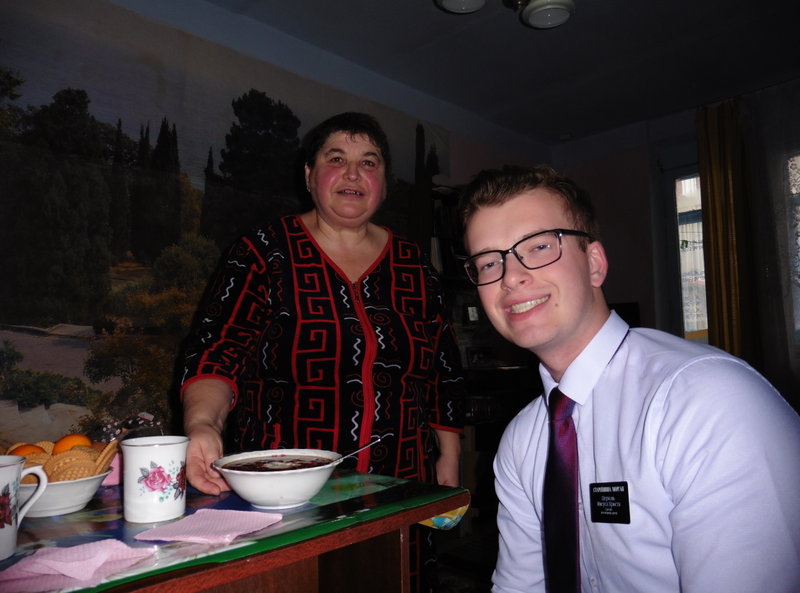 We also went to Sister Luba’s this week (see attached picture), she was very generous and made some borsch for us! Often times I think about the blessing it is that we can pray to Heavenly Father at anytime and anywhere. I’m grateful for what you’ve taught me Mom, I still pray to this day, and especially when I have the hard days while serving on a mission. ← Sister R. Moore: Hallelujah!! !